Yesterday, I was dragging my feet on the way to the elementary school. I just didn’t want to go. It was one of those days. I wanted to stay in bed, feeling sorry for myself and dwelling on lingering frustrations. Yet, when I arrived at school, everything changed. The students somehow knew I needed extra loving. They sat on my lap; they played with my hair; they held my hand. The same students who wrote, in blue pen, on my shirt, the same students who don’t listen to a word I say, the same students who cannot stay in their seats to save their lives. They took care of me – they instinctively knew I needed comfort on this particular day. No interrogating questions were asked, no sympathetic looks, merely a hand in hand. Sometimes I forget the power of touch. And sometimes I forget just how thankful I am for these kidos – even on their grumpy days. 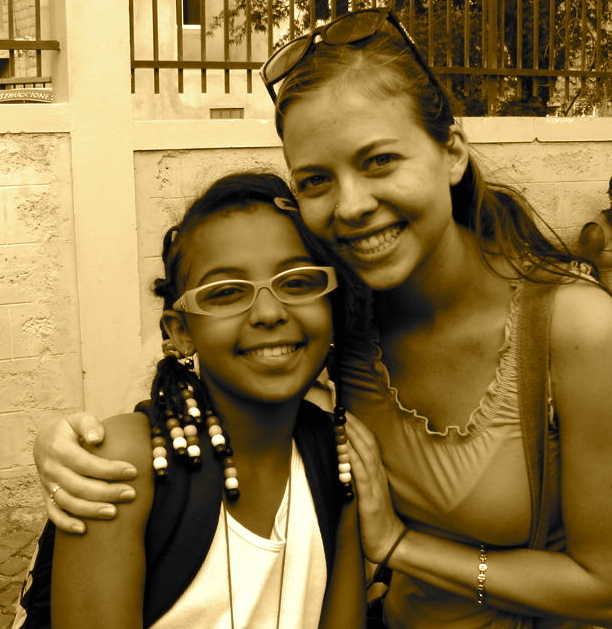 Through age differences, language barriers, and cultural differences, we understand each other. A value beyond all others. This entry was posted in Day to Day. Bookmark the permalink.